The results of the research I’ve carried out in the company of some other travellers in the jungles of time and space this summer at AbundanceFest are in. As with so many other things in life, abundance is a choice. Even when you think you have no choice over something which may be going on in your life or work, you still have the opportunity to choose how you will think about it – with abundance or scarcity, love or fear. Wednesday night saw our final group call, a round-up of all we had learned. We were a tad philosophical; everything is so much simpler than perhaps we had imagined at the outset of our abundance journey. Some of us were living in abundance some of the time and our goal was for more of us to live in abundance more often, even all of the time. And we do, we can if we choose it. Abundance, it turns out, is a deliberate choice, a way of living, a vibration of lightness and fun. Our job is to trust in abundance all of the time, whether or not it seems visible in the moment. Let me say that another way as it’s really important. Just because you think abundance may not be visible doesn’t mean you cannot choose it and choosing abundance is what will draw it towards you. Sinking into fear and lack will push it away, we know this. Living abundance is the opportunity here. Many abundant clients have said to me over the years that the abundance MO is to put in your cosmic order and relax in the knowledge that it will come to you, not necessarily in the timeframe or fashion you had imagined but either way, all is well. Go with the flow, abundance is ease, not resistance. Abundance is our natural state, scarcity is a manmade construct by which I mean it isn’t real. I will blog more about this very soon. Abundance and authenticity go hand in hand for me and these few weeks have helped me to realise why I am resistant to all marketing which tries to persuade me there is a shortage of anything. There isn’t. Fact. If you ever doubt this, just look out of the window at nature who is our model for this. If you can find any scarcity in nature you can be sure that man has intervened for his own commercial gain. Abundance is a rock solid belief and a knowing that something will turn up because it always does. Scarcity is a great big fat lie. Clearing your clutter is vital. Nothing can manifest if your emotional and physical space is already so cluttered that you cannot think, breathe or take inspired action or vibrate positively or be open to receive your good. 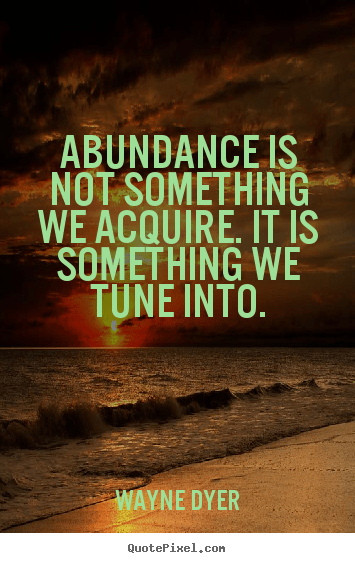 I’m going to be making abundance an even more central part of my life and work and reality, and run groups regularly to get us to focus on it more, and welcome abundance thinking and awareness into our daily lives. I will be offering the first one in my newsletter today. If you would like to receive my newsletter with news of these monthly abundance groups, click here.